At least 73 people have been killed and more than 100 wounded after a lorry carrying fuel blew up in western Mozambique, according to the government. In a statement on Thursday, officials said that the vehicle had overturned while transporting fuel to Malawi from the port city of Beira. "The incident occurred when citizens tried to take petrol from a truck" in a small village in Tete province, the statement said. "Because of the heat, the truck burst into flames." The initial death toll stood at 43, but official later raised it to 73. At least 110 others suffered burns, the government said. 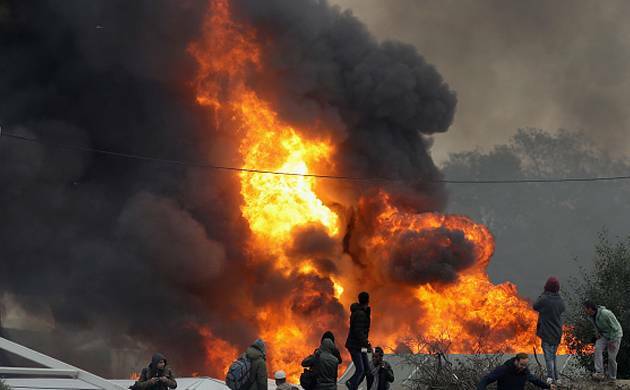 A local journalist told AFP news agency the lorry had crashed on Wednesday and exploded on Thursday afternoon, as scores of people tried to siphon off fuel. The injured victims were taken to Tete provincial hospital. The government aims to send three ministers to the scene on Friday to monitor the rescuers' work. Car wash septic tanks emerge as radiation threat in Fukushima: Amount of polluted sludge is estimated at several thousands of tons.